Now, using the hard drive data recovery wizard, the users can get back there lost or damaged photos, videos, music files, documents, data files and the other multimedia files from any Hard Drive. The best part of this application is that it can even restore the data from the corrupted files too. Moreover, the tool has the credibility to keep original format and details intact. The amazing thing about hard disk recovery software is that it can even recover and restore data from both the FAT and NTFS file systems. That comprises of FAT 16, FAT 32 components. In addition to it, the application even has the potential to save the data at a desirable location after data recovery process is completed. The Hard Drive Data Recovery tool has the credibility to restore the items from formatted/ reformatted hard drives of unlimited size. The software diagnoses the available partitions automatically after scanning disk. In many cases, if we are having permanently deleted data the software restores it also from NTFS and FAT Hard Disk file format. 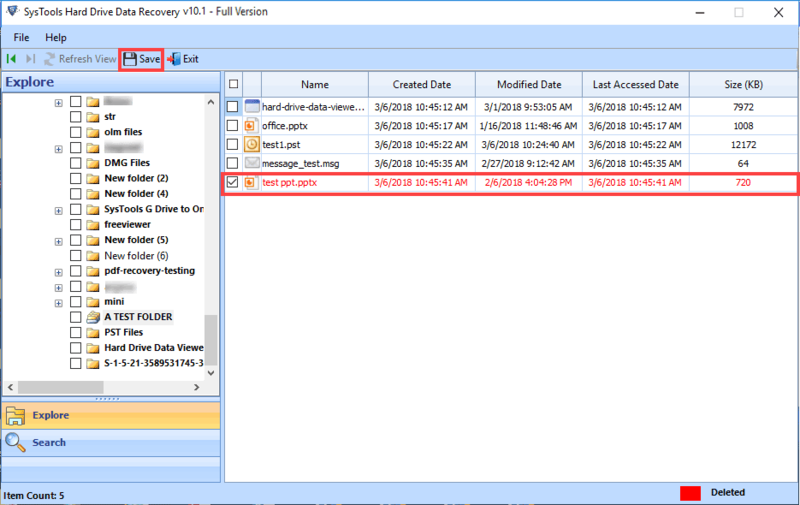 The hard drive recovery wizard can easily recover corrupt/lost data from system hard drive and external storage devices i.e., IDE, Blue-Ray Disk, SAT, iPod, SCSI, Memory Card Hard Disk, USB flash Drive, etc. It even auto-detects the drives along with the attributes. It even previews in front of the users with associated elements like model number, free size, etc. Using this option, the users can recover corrupt GPT & MBR files as corruption in such kind of files may create hard disk failure or corrupt data loss. Both of the files comprises of special information regarding each file stored in NTFS/FAT file systems. In such ways, the HDD recovery tool can be employed to restore lost data due to MFT, MBR, GPT, and FAT file corruption. It can also recover corrupted, deleted and formatted data from all file partitions. 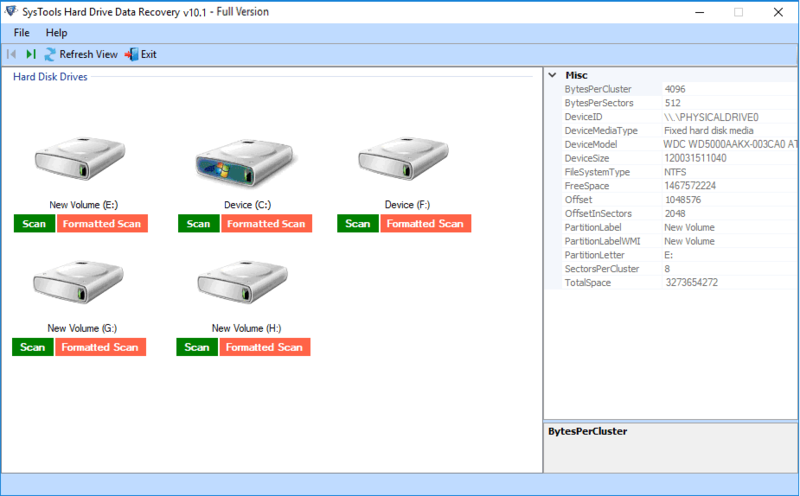 So simply download the utility and recover complete hard disk data. 1. 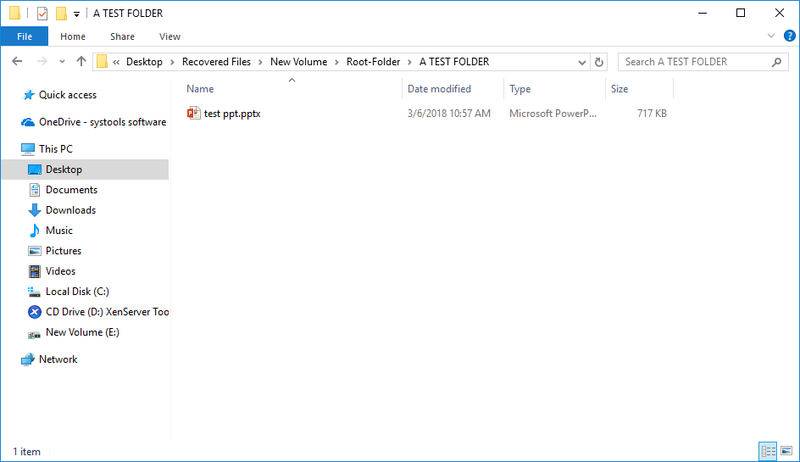 Restore Normal Data: Recover Data without Deleted Files/Folders. 2. 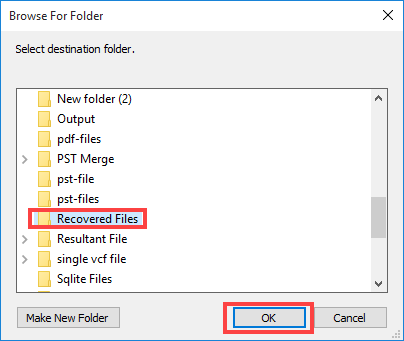 Recover Deleted Files/Folders: This option is available to restore the permanently deleted data. 3. 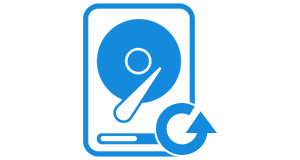 Recover Formatted Partition: This option is used to retrieve data from formatted & reformatted drives. In case file system is previewed as RAW or if you are unable to access any drive and you are getting the warning like “Disk Not Formatted, Do you Want to Format Now?” then, in that case, the hard drive is corrupt. In such circumstances, instead for going for formatting a particular drive and losing data, then users can recover complete data by using corrupt hard drive data recovery software. The users can opt for searching any specific file or item inside the restored data with the smart searching option of hard drive data recovery software. 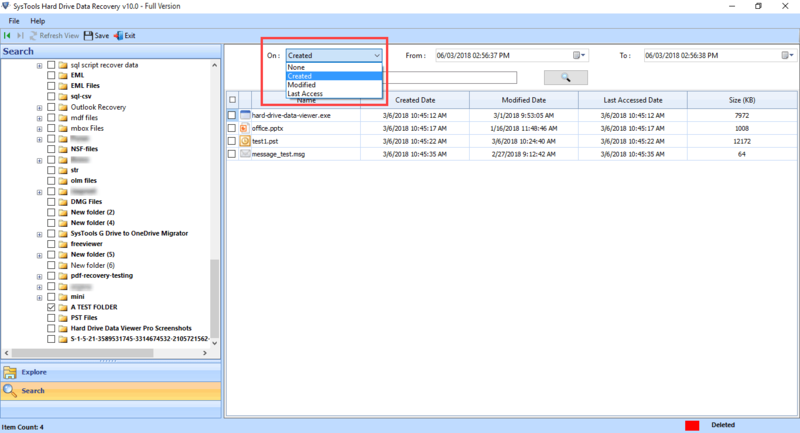 The users need to apply the date filters option for refining the searching by its file creation date or the last modified date. It even restores the selective folders from the drive by tapping on check/uncheck button. Is there any provision to restore corrupted Hard Drive partitions data using tool? 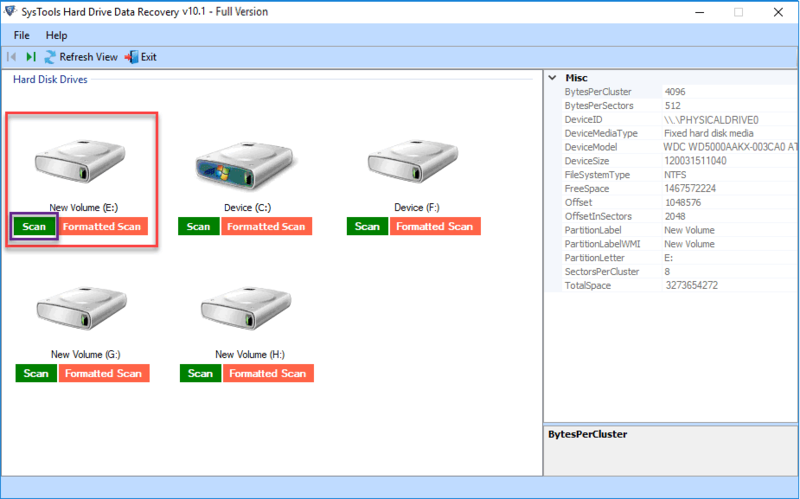 Does the Hard Drive Recovery software save the recovered data on my device? 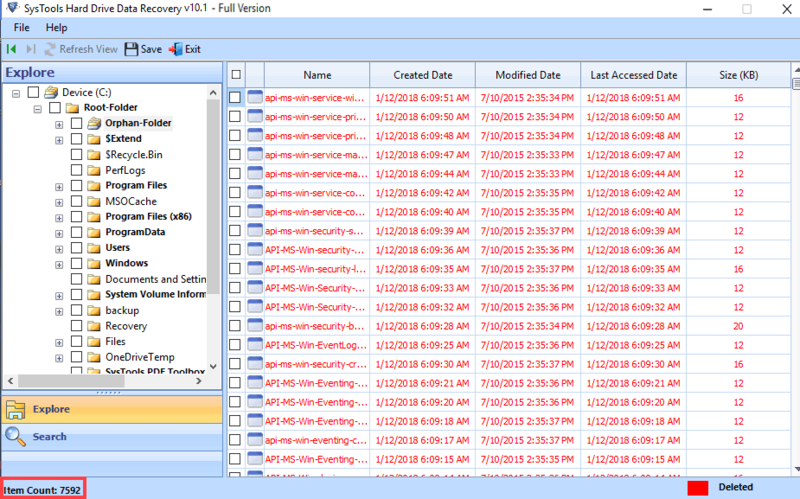 Yes, the recovery tool has the credibility to store the data and retrieve the data on your local device. Is there any limitations imposed on the software when it comes to recovering Drive of any size? No, the Hard Drive File Recovery Software does not impose any restrictions on the tool in case of recovering any drive of any size. Does the wizard restore all the media files from the smart phone or memory card? Yes, the hard disk drive restore software can easily recover all the media files from smart phones or memory cards, hard drives, etc. First of all, download the Hard Disk File Recovery Software in your device and then launch it. 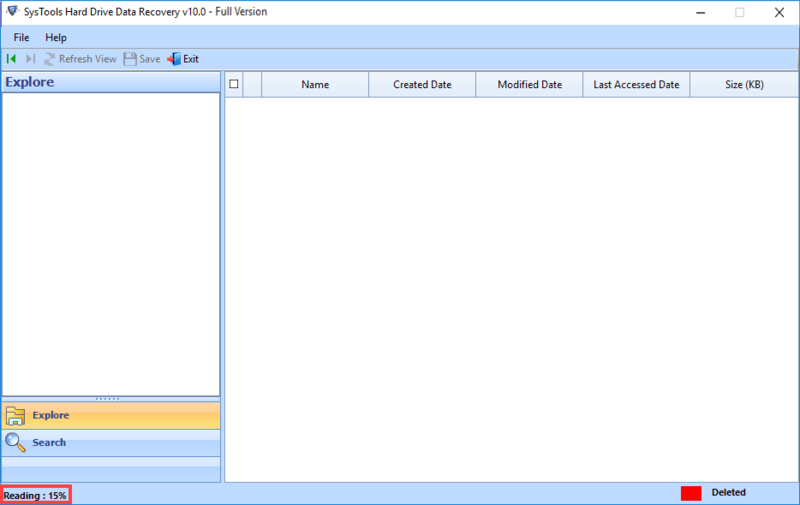 Now the hdd recovery tool will provide you two option to scan your hard disk. Scan: - Perform hard disk scan for Shift + deleted data / normal deleted data. Formatted Scan: - Perform this for formatted data recovery form hard disk. After successful scanning, software will list all folder in left side of software windows. Also it mark all folders containing data. 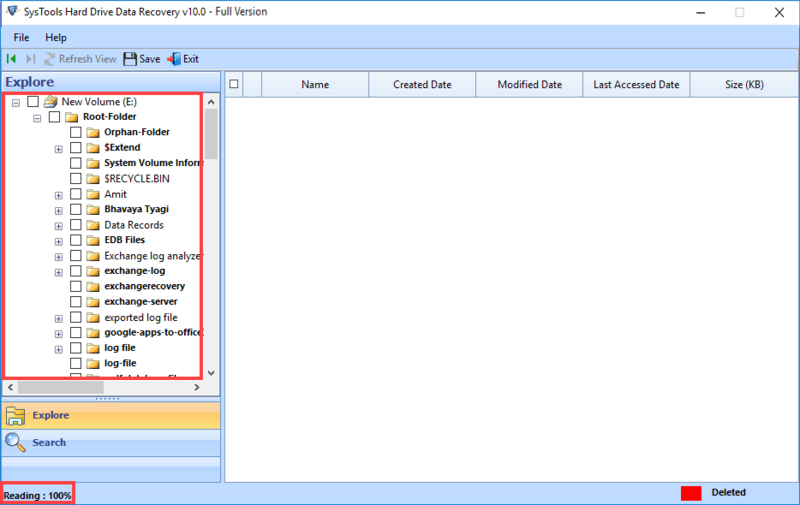 Simply explore the folder and view entire recovered (normal deleted / permanent deleted) data. The deleted data highlighted by red color after recovery. Here software will enable you to either save selected files or complete folder. For Complete Folder: - Select the folder from folder hierarchy and hit Save button. Provide location to save recovered files and hit OK.
View complete exporting process details and wait till it completes to 100%. Advance searching option by Data Filter and File Extension. Go to the location where you saved recovered data and view complete data. "I am really mesmerized over the working and features of the hard drive data recovery wizard. This application helped me in many ways and I am so satisfied with it that I would like to recommend it to all the users across globe"
"I have used this hard disk data recovery tool, and I feel like no other program has the credibility to work so smoothly. Its working algorithm has been developed by hard-core professional software designers. Thanks for the wonderful effort."